Making him is simple! 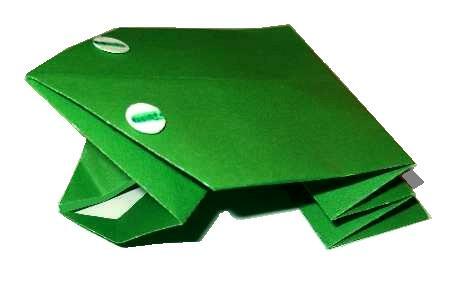 Use green paper for your origami frog or if you want to make him exotic, use your imagination. Access free printables to download here. Children will not find this activity difficult and especially when they know once finished they can race them with their friends and classmates. 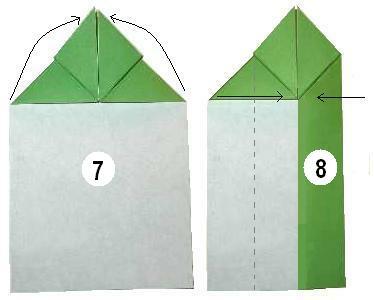 But please give assistance to younger ones when folding as this can take a few attempts to get right. We are almost there! 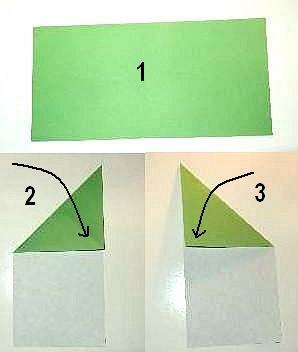 I want you to imagine you have an oblong with a triangle joined to it because you are going to fold 1/3 of that oblong. Can you see in the picture how the tip of the triangle is not on the edge? 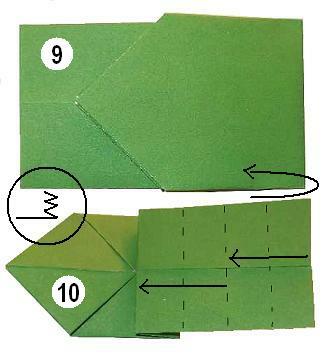 (9) Crease it when you have positioned it correctly. 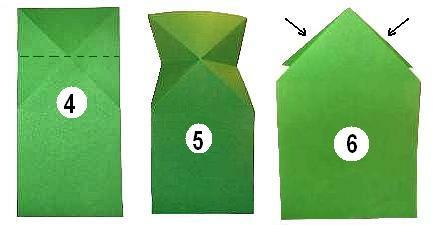 Now turn the whole thing over and fold your paper like an accordion. (10) See the drawing in the circle. There should be 5 fold lines. If you have a hole punch, make 2 circles and draw a parallel line through them. You can use a green, black or red pen. Or why not use some tiny googly eyes if you have them. Now stretch the frog a little, pull his legs out slightly, bend a little arch lengthwise along his back, and your done! 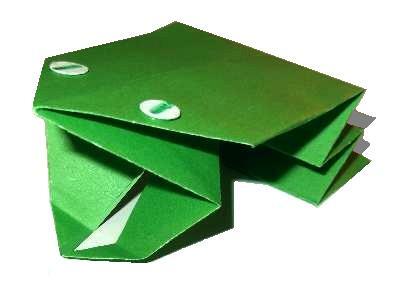 Ready to race your origami frog? Just press down on the back with your finger and let it slip off. The frog will jump forward. If you did enjoy this activity then perhaps you will like some more paper crafts to do. 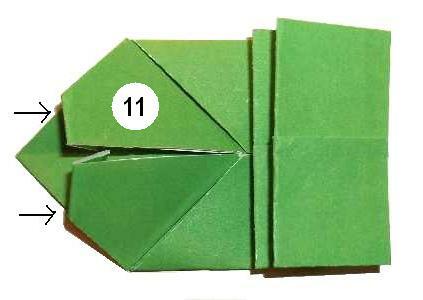 This origami frog has KKC modifications. We have given his eyes, feet and an arched back.